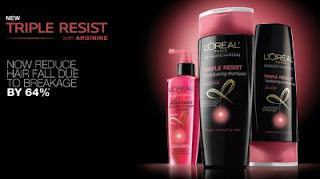 Free Sample L'Oréal Paris Triple Resist. Just click the link below to go to the L'Oréal Paris website. Once on their website just scroll down to fill out the mailing address form.